The history of The Rolling Stones spans five decades and counting. This band of perpetually retiring musicians has spent many of the past decades in the studio and on the road for their "last big tour", but as music fans know, they always come back. Age hasn't slowed these rock stars at all, and they remain one of the quintessential go-to bands for one generation of music fans after another. Over five decades of musical history takes a book to cover, and in the case of The Rolling Stones, the stories of Mick Jagger, Keith Richards, Charlie Watts and Bill Wyman could likely each fill up a book individually. (In Keith's case, several books.) Rather than recount the entire history of The Stones, let's consider some seminal moments in the life of a seminal rock band. Everyone talks about the 'fifth Beatle," but no one really spends much time considering the sixth Rolling Stone. When the band was formed, Jagger, Richards, Watts and Wyman were joined by Brian Jones and Ian Stewart. In fact, Jones and Stewart were the founding members of the band - it was Stewart who was the first one to respond to an ad Jones had placed looking for musicians to start a group. The six piece Stones played around London, but when they got a record contract, a great deal of thought and planning went into crafting a style and image for the group to sell them to the British Invasion crazed U.S. market. The Stones were to be the bad boys to the The Beatles' good guys image - the slightly cooler London boys to the Beatles' northern England/Liverpool/Merseyside image. There was just one problem - Stewart. Record execs thought that they couldn't sell him to teenage girls, so he was made an offer - leave the band, but stick around to play keyboards behind the scenes and act as tour manager. Inexplicably, he accepted the job. Way back at the stage throughout much of the Stones' career, you can see the sixth Stone out of the spotlight and helping his friends reach stardom. Stewart has recently gotten a bit more media attention, especially in his native Scotland. Author Ian Rankin has said that Stewart was his inspiration for his famous Rhebus character and Scots musician Aidan Moffat wrote a song about him. Stewart passed away from a heart attack in 1985. The relationship between Brian Jones and the rest of the band was always contentious. From the beginning, Jones always traveled separately from the rest of the group. Tension built when the band Jones had started was taken over by the songwriting team of Richards and Jagger. Jones also had a drug addiction that interfered with the band. Although all of the Stones were known to be heavy drug users, Jones' addiction often impeded the process, especially the Let It Bleed sessions. He had two drug convictions that prevented him from getting U.S. visas, making it difficult for the band to tour. Jones' death remains one of rock's great mysteries. He was found at the bottom of his swimming pool in July, 1969. The cause of death is still unknown. Many assume it to be some kind of suicide or accidental drowning due to drugs, but a rumor that will not go away is that a builder working on his house murdered him. Some of his possessions had been stolen, including demos of a new project. Only Watts and Wyman attended Jones' funeral. Jagger said he couldn't attend because he was contractually obligated to film Ned Kelly. Richards said he had to be in the studio. 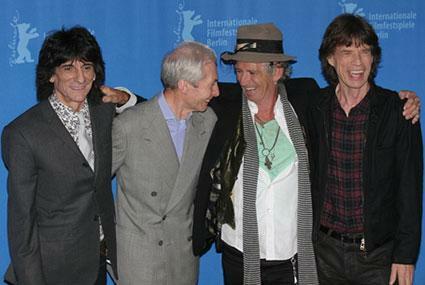 The Stones were one of the first acts to be inducted into the Rock and Roll Hall of Fame. They received the honor in 1989. In 2004, the magazine which bears their name, Rolling Stone, put the group at the number four spot on their list of the greatest bands of all time. They pointed out that many modern bands try to copy The Stones' blues-infused rock style, as well as their attitude and rock-and-roll swagger. However, true fans know that no one does the Stones better than the Stones.